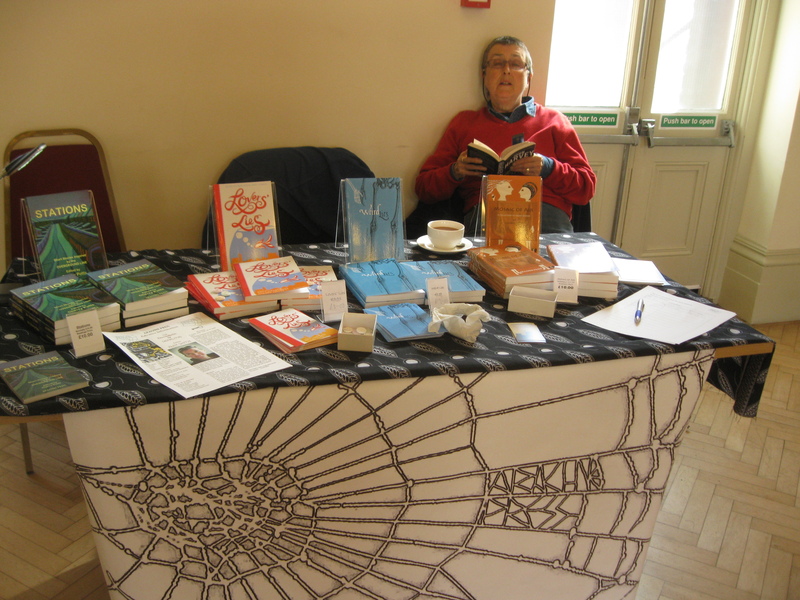 A lovely sunny day in Faversham and Alix & I are womaning the stall for Arachne Press at LEXiCON in the Alexander Centre. 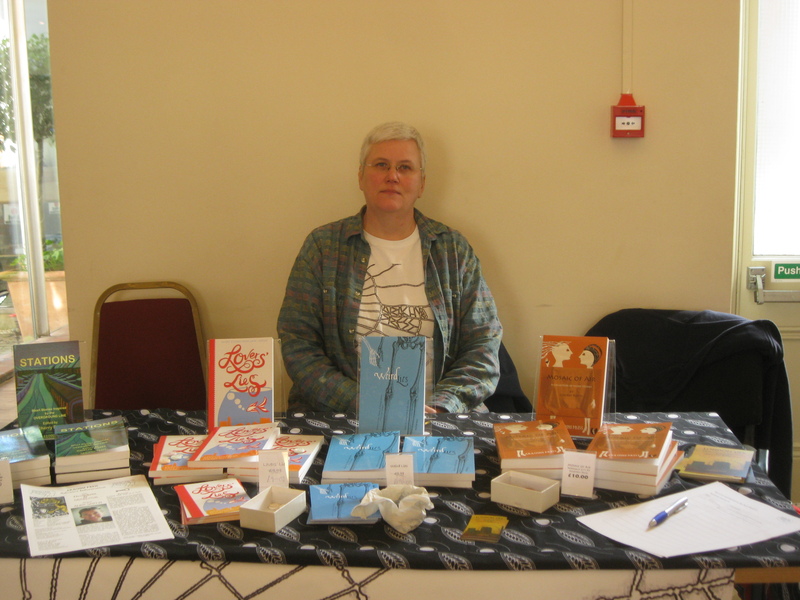 I’m on stage later reading and taking part in a panel on cross genre writing. The timetable is a bit all over the place, but there’s something going on in the main room or in the performance space most of the day: turn up and be surprised, any time until 5pm. 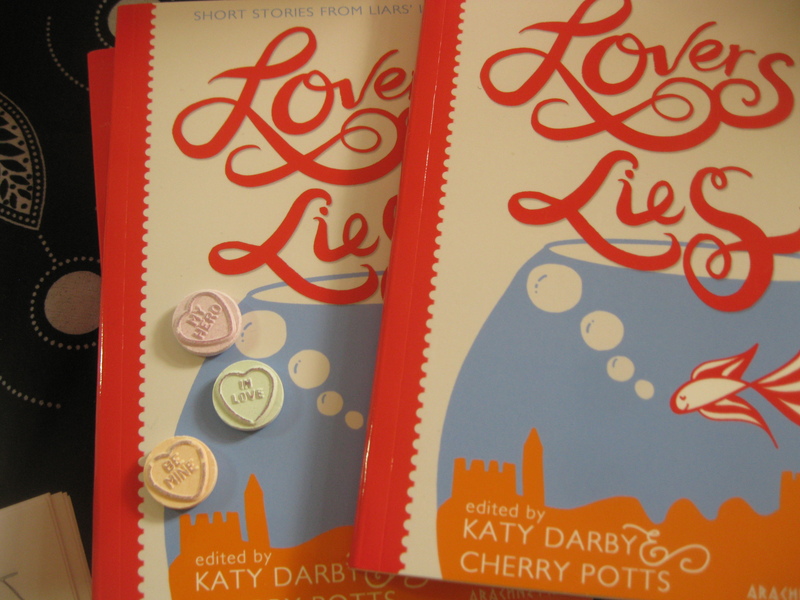 There is a traditional sweet shop across the road, so I had to go and get some lovehearts to go with Lovers’ Lies, so they are decorating the books, and if you are quick I won’t have eaten them all!